TESS will focus on nearby planets worthy of further study. This article has been updated to include information from the 4/18 launch. Boiling atmospheres, roiling winds, dead shells of entities once vibrant — scientists have discovered some pretty amazing exoplanets in the past few years. But what we don’t yet know is if any of them host life. Many of these exoplanets have been too distant to learn much about. But a new mission is seeking out exotic worlds a little closer to home. On April 18, a new telescope with an eye for exoplanets will launch from Cape Canaveral, Florida, the first of a coming wave of post-Hubble telescopes that will search the sky for foreign worlds. The launch was intended for April 16, but was been pushed back while the SpaceX team completed further analysis of the Falcon 9’s guidance, navigation, and control (GNC) systems. TESS (Transiting Exoplanet Survey Satellite) will monitor over 200,000 stars for regular changes in brightness produced by a body passing in front of them. That’s the technique astronomers have long used to identify new planets, but now they’ll get a better look since the observations will take place in space. Most of the exoplanets discovered by the Kepler satellite, a telescope that has been spotting planets from space since 2009, have been orbiting distant, faint stars. TESS, on the other hand, will focus its four cameras on stars relatively close to Earth, 30 to 100 times brighter than those that Kepler observed. 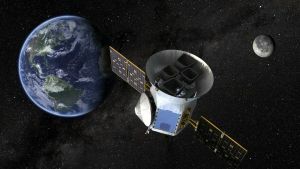 According to NASA, TESS’ focus on nearer targets means that TESS planets should be much easier to learn more about, especially since more powerful telescopes, like the hopefully-soon-to-be-launched James Webb Space Telescope, will soon come online. TESS will also be the first NASA mission shot into space by one of the Falcon 9 reusable rockets. Even more notable, the Falcon 9 will deliver TESS into an orbit around Earth that has never before been attempted: a wide ellipse that will take TESS well beyond the orbit of the Moon, The Guardian reports. 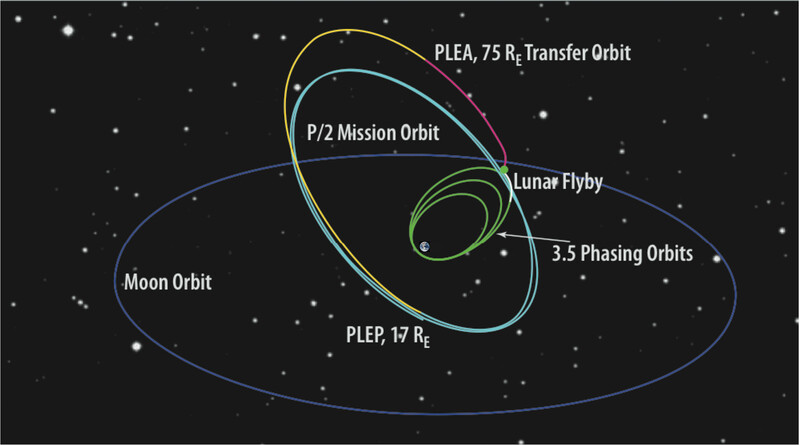 Each orbit will take a little under 14 days, and NASA estimates it will be stable enough to remain in position for decades or longer without any need for corrections. This unusual orbit means that TESS will have almost a constant view of the stars, unobstructed by the Moon or Earth itself. The only gaps will come when the telescope is at its closest point to Earth, when it will point an antenna towards Earth for 16 hours to beam back what it’s discovered. The SpaceX Falcon 9 rocket took off from Cape Canaveral at 6:51 PM ET as scheduled. The mission achieved its primary goal — launching TESS into orbit — and its secondary goal of landing its reusable first stage (aka fairing) on SpaceX’s drone ship, dubbed “Of Course I Still Love You.” That’s notable because, in another launch last month, SpaceX didn’t recover the fairing, a $6 million mistake. SpaceX will follow up later to confirm that TESS is on its correct course. But since everything else went well, it’s likely where it should be.